Recently I analysed a sample of putative "palladium-rich" gold from Icabarú, Venezuela. The sample looks like the specimens in the photos you can find in Mindat under the location Icabarú. The analysis (EDS) show that sample is composed by >99% gold. The palladium present (if any) are under detection level. Trace analysis show that the main trace is Hg. I tried unsucessfully to find any published information or analysis. I suspect we have a case of fake or at least incorrect classification. Well, again I did not found any information about the putative palladian gold from Icabarú. The precise composition of the sample is 99.95% gold, with traces of Hg, Pd and Ag. This composition, the lack of information about the deposit, the scarcity and shape of samples (and the stunning similarity of samples of the same lot) together with the low price (around current gold cotization), strongly suggest a fake, so be aware. I know two mineral dealers who distribute these samples. They maintain that this gold is natural and palladian. At least the last statement is false. 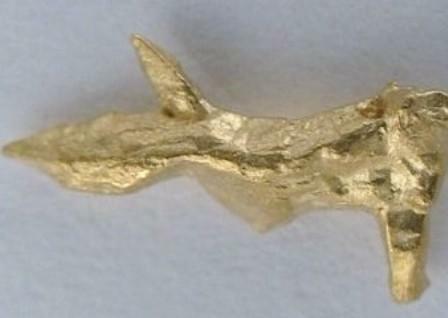 Analysed sample of putative palladian gold from Icabarú, Venezuela. The dealer told me that he bought the material in Caracas and a sample was analysed by EDS. He stated that the peak of Pd was found in the sample (did not provide quant information). After that, he sold all the material as (Pd-Au). About the origin, supossedly is a gold mine in Icabarú. But this supossition is based on the word of the original supplier. I got also my share of Palladium rich Gold. I informed the seller, a good faithed one, and I will try to find more about this. I can also send you my sample for analysis. I do not rely in a electrolitically grown crystals, but the fact that the only impurity found is mercury, makes me wonder if those where grown decomposing a gold amalgam. I will try to find out how a gold crystal could be made. But I placed what I was told, without the sheet of paper with the plot of the XRF (I got those only from Jordi :-) ). I beleived in my dealer (a good faithed one, and reliable). For circumstances he had not also the analysis, just the word from people who did the analysis. But occurs that my gold is like the one of Mr. Salván, and he showed us the analysis. Then, I rely on the paper, and as i said, if he wants/could I will send him my specimen for an analysis. For electrolysis: when used for that, they tend to produce cawliflower like growings, not such crystals. Irrespective of how these may have been grown, and they are almost certainly not natural, please stop calling them palladium-rich gold. 0.4% is not "rich" by anyone's standards. Palladium-bearing might be a better term to use. "...in recognition of Padre Antonil, who was the first to describe in print the black auriferous mineral grains found around 1695-1700 in Minas Gerais, Brazil, and known since then as “ouro preto” (Pt was to be discovered 50 years later, and Pd 100 years). " (I think you will not be able to access the text of this, without a subscription) contains a good and interesting historical review of the discovery and puzzlement over, these various minerals. I thought some of this might be of interest to some on Jordi's forum. Thank you for reposting this under this Forum theme, Jordi, I had thought that it might be well to do this. As I noted, most will not be able to access the text of the historical article, and although the abstract is supposed to appear on the url given, I think it does not; so, here is the abstract of that article by Jedwab and Cassadanne. 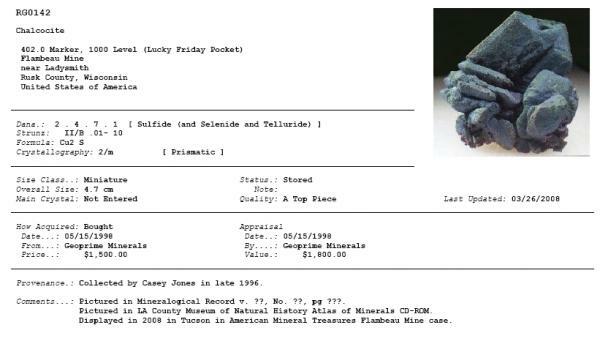 This all is an interesting example of how some mineral materials found in the natural world, by reason of their poor crystallinity, variable and irregular composition, and small grain size, just do not well fit into our conventional definitions of "minerals". Dark brown to black compounds associated with native gold were discovered three hundred years ago in Minas Gerais, Brazil, and have been known since then as ouro preto (black gold). These compounds were correctly determined as oxygen-bearing compounds of platinum - palladium - iron as early as 1833 and 1837, but the oversight of the presence of major iron in their composition led to an erroneous definition of palladinite and to the much-delayed recognition of a group of platinum-group element oxides. I just wrote because after reading the last Message of Pete Modresky that addres to this thread I reread it and when I found again the message of Alfredo, suggesting that it could be electrolitically grown. Well, Alfredo has a very good eye: in a mineral fair a reliable source said me that those golds were sold as electrolitically grown by a dealer in Munich, many years ago. Unfortunately I got no more data. My prospecting friends and I are finding grains that a re half gold and half tin-white in alluvials we are working. The material is very dense, somewhat brittle, especially the purely tin-white grains (similar to osmiridium), does not tarnish, does not give off volatiles when heated in open or closed tube and fuses with difficulty in the blowpipe flame. What do you think? I will scan my microscopic photographs and e-mail them to you. I have just seen this thread for the first time. The discussion is good, and I don't disagree with any of it. But I am struck by the comment in the second post that the specimens are very similar. Without knowing how similar, it makes me wonder if these fakes are casts of natural crystals. The form is that of well crystallized gold. If the figure is not of a very tiny crystal fragment , I think it has too coarse crystals to result from crystallization from an amalgam or other quick synthetic processes. 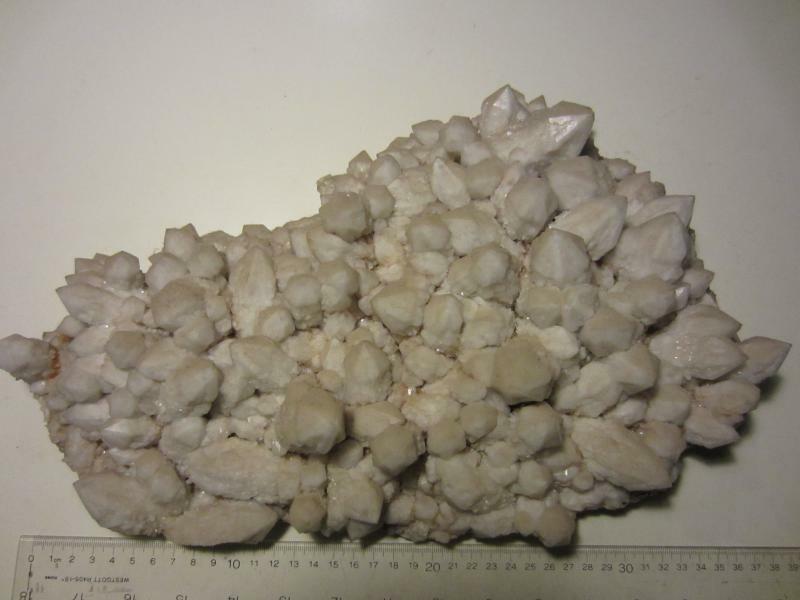 If this is a natural specimen, it should show a single crystal x-ray pattern from small pieces of a specimen. If it is a cast, it will be polycrystalline, and will look like a powder pattern under x-ray. My good friend John Rakovan did a brilliant analysis of this issue and published it in a recent Rocks & Minerals article (January/February 2009) - it turns out that the idea of the single crystal vs poly-crystal test is a good one, but can be compromised if the surface of a natural crystal has taken a beating, as would happen if it tumbled down a river or stream. The details are too complex to repeat here, but that article might be a great resource for dealing with this question. This is my first post on this forum and I'd like to thank you all for the information you have given already. I have done some research myself on this topic, so let me tell you all my story. I have recently finished my access database system, so now I'm adding my minerals to it. I have in my possession one of those lovely gold crystals from Icabaru and when I was searching the net for some extra information (I wanted to know how common gold-palladium alloys were), I stumbled upon this thread. There are two problems with these crystals, is there palladium present and are they synthetic? According to some of you they might be synthetic; at least there are only traces of palladium present. I can live with having bought a crystal with less palladium in it then promised. But because I collect minerals and synthetic crystals (I partially make them myself), I want to know to what database I have to add this crystal to. As I am a little familiar with synthetic crystals, I did some research on the surface of the crystal. I have a 20x-40x magnification stereo microscope and an old 100x magnification school microscope (I made some top lighting on it for mineral viewing). At 100x magnification the crystal seems to have only a few flat surfaces and those are really tiny compared to the faces of the crystal. At some of those surfaces it’s possible to see scratches, but they are not traces of treatment with tools. At some places there is also a very thin plated structure. My findings are that it is unlikely that they were electrochemically grown. There are almost no round parts to it, there are no ‘bubbles’ and there is no clear direction of growth. Normally those kinds of crystals have a lot of cavities in them, but they are not present in my specimen. Gas-phase growth is out of the question because the faces aren’t smooth enough and the edges aren’t sharp enough. Crystallization out of the melt is possible, but that would probably yield much sharper crystals (I have no experience with making gold crystals from melt though). The idea of casting such crystals is possible, but I have not found crystals that look the same on the internet (as suggested above) and there are no signs on the crystals of being made by a casting process (mold lines). So my question now is: can these crystals have formed naturally? I continue on this subject, because I contacted a gold prospector about my Icabaru gold specimen. I told him the story about it, with our thoughts and analysis of the gold crystals. He thinks that it is highly unlikely that someone would make these crystals on purpose especially if sold for such relatively low prices. He also thinks its very difficult to make large crystals outside of a very controlled environment using the amalgamation process. He has made microscopically small crystals using such a method, but his photo's show very smooth crystal faces. So I think we can conclude that these crystals were not produced by amalgamation and that they do not contain any palladium. But my question is still however if there are any other examples out there of crystals that look just like these? Maybe those crystals can help solve this mystery. Have you found out which crystal is similar to that one? I am very curious as well! Sadly I have not found any new information on these crystals. They do not compare well to synthetic, nor natural crystals, but I'm not an expert of course. If anyone has more information, please share, for I have the feeling that this mistery is not yet solved.